Select a type of character that is comfortable for you. Kill as many enemies as possible. 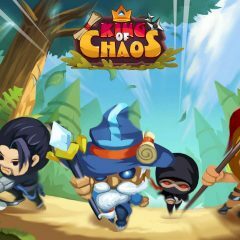 King of Chaos is a game where you select a type of character first and then enter the battle. Kill other characters by using advantages and your own strategy.